Hailing from the ‘Left Coast’ of Canada, Poppa Dawg (Rick Halesheff) is a killer guitar player and vocalist who has toured extensively throughout Western and Northern Canada with international stints in Mexico at The City of Peace Blues Festival and most recently, in has a participant at the International Blues Challenge in Memphis. There Poppa Dawg made it to the semi-finals there and along the way forged some very strong friendships with friends around the world. 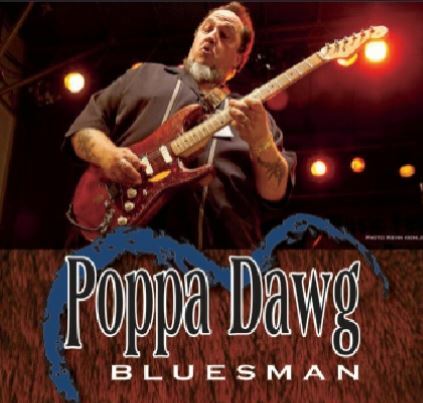 Poppa Dawg is a regular feature on the Kelowna and Okanagan Valley blues scene, playing venues throughout BC and western Canada. Dawg-blues is gritty, skanky, soft and sweet…… Ricks got great tricks up his sleeves. This cat can rock. You’ll catch on quickly.